Behind the Scenes: Our 2018 coding fellows’ final presentation! Want to learn more about Less Annoying CRM’s summer coding fellowship? Know someone who should apply for 2019's cohort? Check out the fellowship website here! Congratulations to Less Annoying CRM’s second coding fellowship cohort! 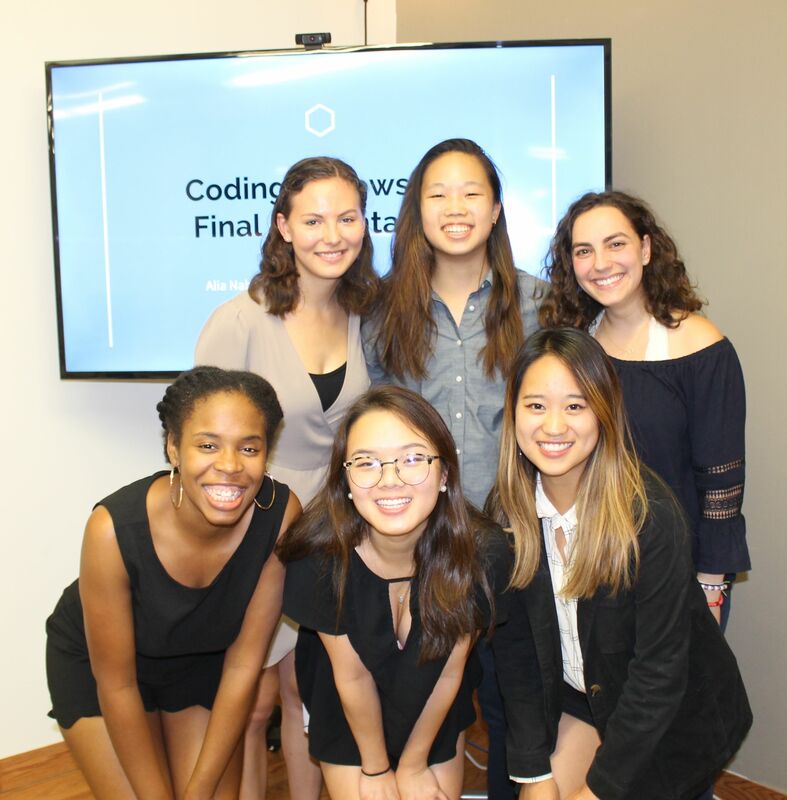 Over the course of one summer, the fellows learned to code, networked with professional programmers and entrepreneurs, and created personal websites to show off their new skills. Plus, the fellows got to explore St. Louis and experience LACRM’s company culture through fun events like our annual float trip and a downtown scavenger hunt. I sat in on the fellows’ final presentation to give our reader’s a sneak peek at what they accomplished this summer. Check out their amazing projects below! Alia is a sociology student at Washington University in St. Louis, and she used her new coding skills to create a platform to house data for a research project! 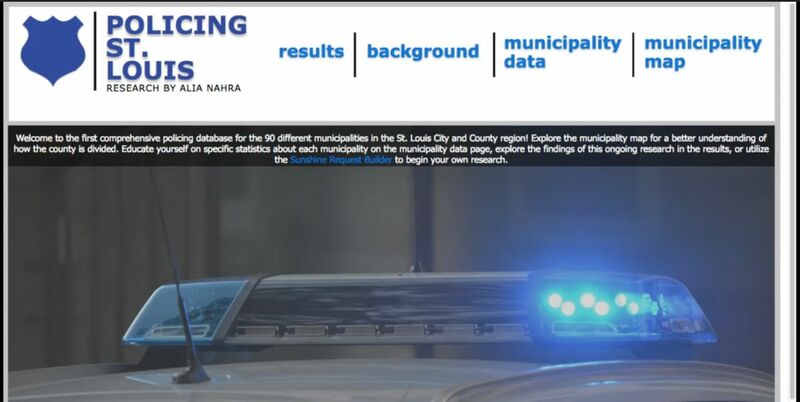 Alia’s research entails looking at data from 66 police departments covering 88 different municipalities in St. Louis County. The data coming from each department/municipality isn’t uniform, so Alia needed a program to help her synthesize all of the information and present it in a readable format. The homepage of Alia's website! During Alia’s summer, she created a platform for her data and worked with local St. Louis organizations to collect her data. Her website includes data on each municipality, a map of county police departments, and a sunshine request builder. Alia will continue her research with support from WashU’s sociology department. Nadia hated branding herself on social media, and wanted to create a platform that didn’t involve portraying a fake self-image. 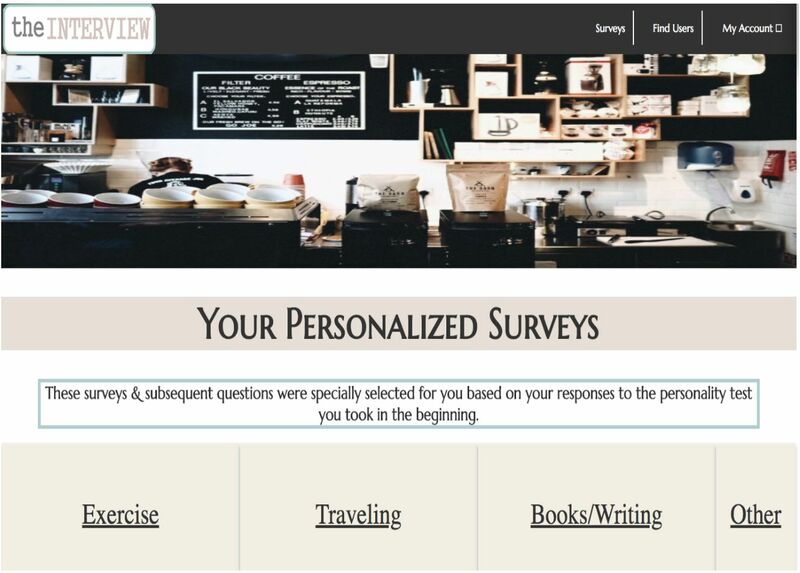 As a result, Nadia built The Interview: a series of personalized online surveys that represent the user’s true self. Survey results would be presented like an interview in a newspaper, and users could check out their friend’s profiles as well. There would be no likes or “friending” involved so that people didn’t feel pressure to perform. A sample of the personality surveys available on The Interview! Over the summer, Nadia learned a lot about herself and her learning style. Before the fellowship, she had never done self-directed learning, where there was very little hand-holding throughout the process. Now, she feels like she has the skills to engage in more self-motivated learning with coding projects and at school. Over the course of the coding fellowship, Lindsay realized that her favorite part of the programming process was at the end: graphic and web design. For her final project, she wanted to make something practical AND show off her new CSS skills, so she settled on an interactive résumé. After sketching several drafts on LACRM’s whiteboard walls, Lindsay came up with a desk design. Objects that represented her achievements and passions would sit on a desk and shelves, and readers could click on the objects to learn more. For example, clicking on the camera icon will display a link to Lindsay’s photography website. 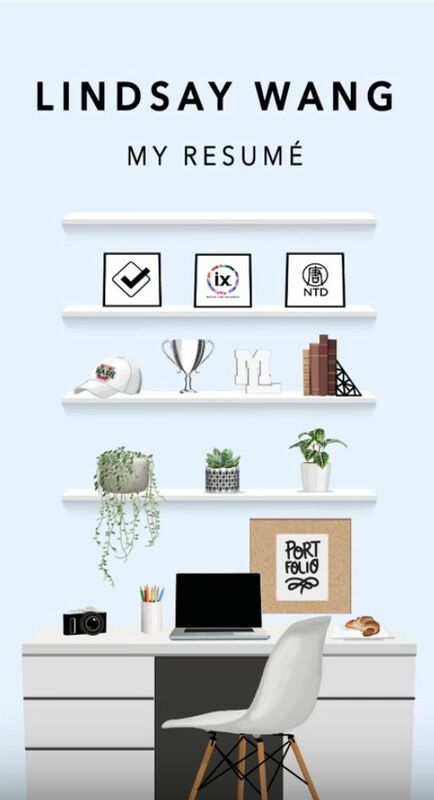 Lindsay believes that her newfound graphic and web design skills will give her an edge over the competition in whatever future career path she chooses to pursue. Check out the items in Lindsay's résumé! Amanda had some previous coding experience, so she was able to explore a wide variety of coding projects over the summer, including a personal blog (providing resources for folks with anxiety), an online positivity journal, hosting database backups for the rest of the fellows, and building an online résumé. Amanda’s most unique experience this summer was learning more about development and operations — commonly known as DevOps. When you have a website, you need to host the files somewhere. Amanda learned how to host files in a remote server, and put her new skills into practice by creating backups for the coding fellows’ sites. Amanda is using her new skills to start a small business! She has already spoken to a few potential clients and plans on designing websites for them. As a pre-med student, Elly was nervous about taking a computer science course during the year, so she spent most of her summer drilling down computer science concepts and trying every exercise the LACRM team threw her way. When it came time to choose her final project, Elly wanted to showcase her new coding skills in a way that would grab the attention of medical schools. 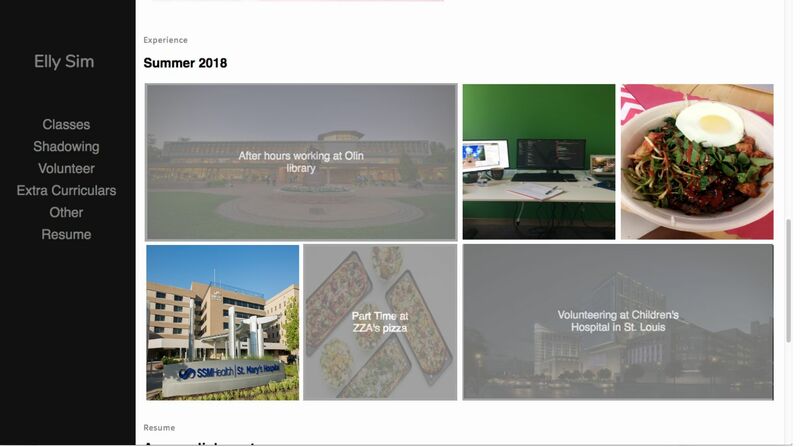 After working on a personal blog, she created an online résumé that displayed her classes, volunteering work, job experiences, and her extra curriculars. Elly's summer 2018 experiences (including a snapshot of her workstation at LACRM)! Elly has two years before she plans on applying to med school, so she hopes to continue building out her online résumé. Sami didn’t have a project idea coming into the fellowship, so she took a critical eye to the problems she was experiencing in her own life and brainstormed coding solutions. Sami created a platform that combined the positive traits of the two major event platforms she used (Facebook and an in-house solution at her university). Her website, The Event Project, allows users to post, discover, and vote on events. 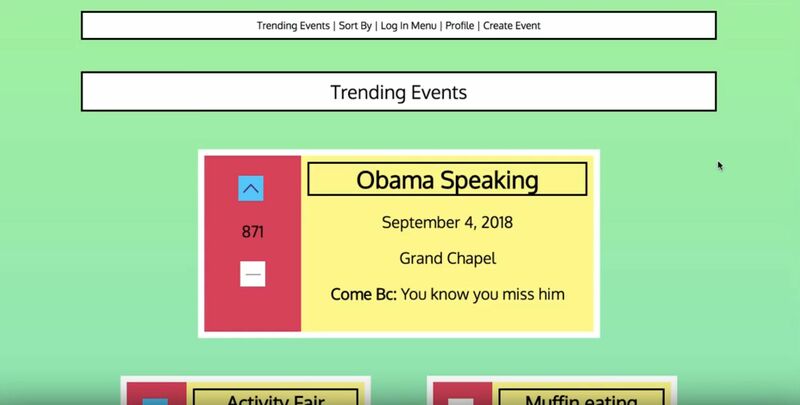 Users can check out what events their friends are attending as well as keep personal events private. After spending weeks on programming the voting component, LACRM’s CEO and the main teacher during the fellowship, Tyler, challenged Sami to delete her code and try again. Since she had retained what she’d learned, Sami was able to recode the voting mechanism in just 20 minutes. I had a blast getting to know the coding fellows over the summer (FYI, Lindsay can catch tadpoles WITH HER BARE HANDS), but this was the first time I saw their coding skills in action. I was not only impressed with their projects, but their interesting and engaging presentation. I don't have much coding experience (aside from a workshop or two at LACRM), but I was able to understand their projects because the fellows did such a good job of distilling complex coding concepts into easy-to-understand and entertaining stories. The audience got to hear about each fellow's thought process in choosing a project, their mistakes, their victories (I think Sami almost cried when she got her voting mechanism to work the first time), and their creative problem solving solutions. At the end, former fellow and current LACRM intern Khaila explained the greater purpose of the fellowship (make the tech world a more diverse and welcoming place for women and people of color) and our future goals (to grow and expand the program!). Finally, the fellows presented Tyler, LACRM's CEO and the main instructor during the fellowship, with a custom piece of art: a La Croix can (the beverage of choice at LACRM) with the words "La CRM". It was the perfect combination of the graphic design skills some of the fellows learned and their creative problem-solving savvy. The 2018 fellows, beaming post-presentation! Needless to say, I am so excited to see how the 2018 cohort uses their new coding skills. And I am even more excited to see who will join us next year! Want to learn more about the fellowship or interested in applying? Check out our website here! Want to get an invite to next year's final presentation? Email us at fellowship@lessannoyingcrm.com!